Roscoe Brown is your trusted supplier of heating & air conditioning, plumbing, and insulation. All delivered to you on time, on budget, and with unmatched attention to detail. Whatever your needs, we’ve got you covered. Including heating & air conditioning repair and replacement, indoor air quality, plumbing installation and repair, drain cleaning, energy efficient insulation, even geothermal. Plus, we also offer financing with favorable terms. So you get what you need when you need it and we get it right the first time. All at fair prices and featuring reliable punctuality to go along with our well known integrity. That’s why we’ve been around for over 75 years, with hundreds of thousands of happy customers in McMinnville, Murfreesboro, Nashville, and Tullahoma. No wonder our company bears the name of its founder. Because, to us, all business is personal. 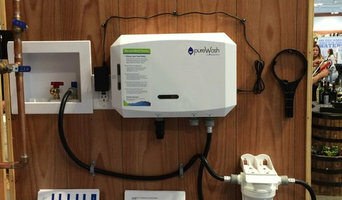 At Pure Water Plumbing, we remove the contaminants so your body doesn't have to!!! Pure Water Plumbing is focused on providing high-quality service, customer satisfaction, and a variety of offerings to choose from. We strive to meet your expectations and sure you'll be happy working with us! We are your professionals for all your water filtration products & installation, service plumbing or bathroom remodeling project. Contact Adam today from Pure Water Plumbing for all your water, plumbing and remodeling issues. Pro N-Stall is an HVAC contractor and plumbing company. 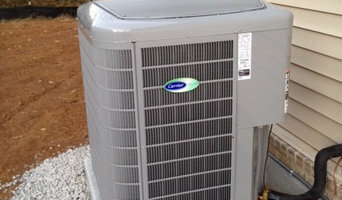 We provide air conditioner, furnace, and full HVAC repair and replacement. We're water heater experts and plumbing gurus. And we're backed by a Better Business Bureau A+ Rating. If you have any plumbing issues, contact our Hendersonville plumbers at The Surfin’ Plumbers, Heating & Cooling. Our in-depth experience and comprehensive understanding of plumbing issues ensures that we are well-equipped for any and all plumbing obstacles that present themselves. If you have a burst pipe, clogged drain, broken heater or any other plumbing, heating, or cooling problems, our board certified technicians will take a look at them and give you a cost estimate for free. We dedicate ourselves to providing the highest quality of service and making the job experience as easy and comfortable for you as possible. We will solve your plumbing problems as scheduled, as quoted, and as promised. Contact us today to schedule your free job estimate. Jack Ward & Sons Plumbing Co.
Jack Ward & Sons Pluming Co. is a full-service plumbing company that has been servicing the Nashville community with affordable and quality work since 1947. We do everything from sink and toilet repairs to new home installations. We understand the value of family. Let us help yours. Thanks for checking out our website. We truly appreciate your interest in our services. Mac's Home Repair is ready, willing, and able to meet all of your home improvement needs. 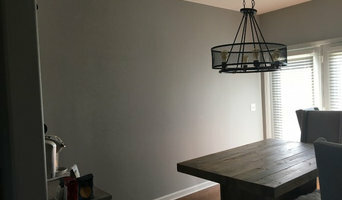 From installing a ceiling fan to remodeling your kitchen, let our experience and quality workmanship help you achieve the home of your dreams. With over 15 years of experience, Mac's has repaired, installed, and remodeled everything, including the kitchen sink! We are licensed, bonded, and insured and serve the Williamson, Davidson, and Maury County areas. Call us today for a free quote and leave the rest to us. Founder Michael Mcgregor made his first foray into the plumbing industry back in 1997, working as a helper during the summer season. After high school, Michael continued in his now–chosen career path, working with several local companies throughout the Nashville area. Having spent about four years building up a reputation as a hard worker and a good plumber, he began taking on jobs for his family and friends. We have been in business for over 15 years at this point, and we always provide the highest quality services from the time the phone rings until the professional technician leaves the site. We believe that the first step in establishing a great working relationship is to start before the work even begins. That is why your 100% satisfaction with our customer service is guaranteed, along with your 100% satisfaction with the actual work that we do for you. Serving your improvement or repair needs. From small to big there is no job we are not skilled, informed, and prepared enough to complete. American Residential Services (ARS)® / Rescue Rooter® of Nashville specializes in everything heating, air conditioning, indoor air quality, drain cleaning, plumbing and HVAC in Nashville, TN and the surrounding communities.